Medicare's Uncapped Drug Costs Hit Elderly Hard : Shots - Health News Unlike many private health plans, Medicare has no cap on out-of-pocket expenses for prescription drugs in Part D. As the cost of specialty drugs rises, some Medicare patients owe thousands of dollars. 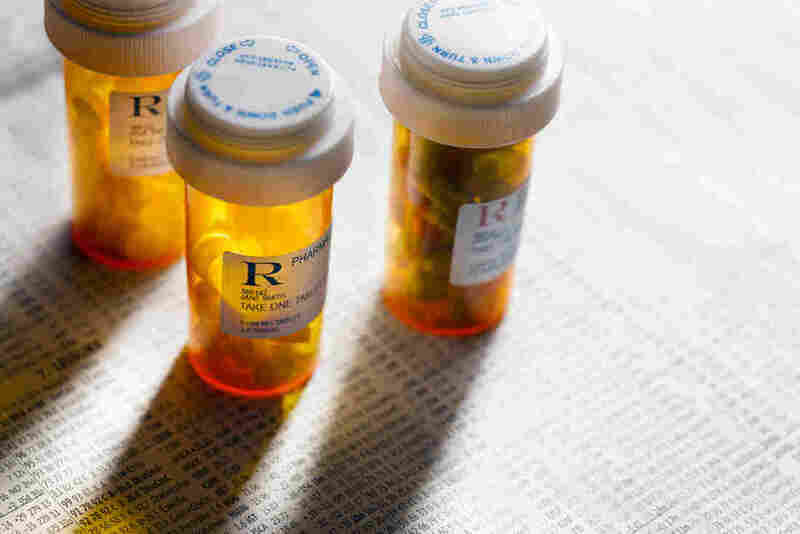 Both Democrats and Republicans have introduced proposals that would impose a cap on out-of-pocket costs of prescription drugs for Medicare patients. But it's still unclear whether those moves will gain a foothold. Three times a week, 66-year-old Tod Gervich injects himself with Copaxone, a prescription drug that can reduce the frequency of relapses in people who have some forms of multiple sclerosis. After living with the disease for more than 20 years, the self-employed certified financial planner in Mashpee, Mass., is accustomed to managing his condition. What he can't get used to is how Medicare's coinsurance charges put a strain on his wallet. Unlike commercial plans that cap members' out-of-pocket drug spending annually, Medicare has no limit for prescription medications in Part D, its drug benefit. With the cost of specialty drugs increasing, some Medicare beneficiaries could owe thousands of dollars in out-of-pocket drug costs every year for a single drug. Recent proposals by the Trump administration and Sen. Ron Wyden, D-Ore., would address the long-standing problem by imposing a spending cap. But it's unclear whether any of these proposals will gain a foothold. The 2006 introduction of the Medicare prescription drug benefit was a boon for seniors, but the coverage had weak spots. One was the so-called doughnut hole — the gap beneficiaries fell into after they accumulated a few thousand dollars in drug expenses and were then on the hook for the full cost of their medications. Another was the lack of an annual cap on drug spending. Legislative changes have gradually closed the doughnut hole so that this year beneficiaries no longer face a coverage gap. In a standard Medicare drug plan, beneficiaries pay 25 percent of the price of their brand-name drugs until they reach $5,100 in out-of-pocket costs. Once patients reach that threshold, the catastrophic portion of their coverage kicks in, and their obligation drops to 5 percent. But it never disappears. It's that ongoing 5 percent that hits hard for people, like Gervich, who take expensive medications. His 40-milligram dose of Copaxone costs about $75,000 annually, according to the National Multiple Sclerosis Society. In January, Gervich paid $1,800 for the drug, and he paid another $900 in February. Discounts that drug manufacturers are required to provide to Part D enrollees also counted toward his out-of-pocket costs. (More on that later.) By March, he had hit the $5,100 threshold that pushed him into catastrophic coverage. For the rest of the year, he'll owe $295 a month for this drug, until the cycle starts over again in January. That $295 is a far cry from the approximately $6,250 monthly Copaxone price without insurance. But, combined with the $2,700 he had already paid before his catastrophic coverage kicked in, the additional $2,950 he'll owe this year is no small amount. And that assumes he needs no other medications. "I feel like I'm being punished financially for having a chronic disease," he says. He has considered discontinuing Copaxone to save money. His drug bill is one reason Gervich has decided not to retire yet, he says, adding that an annual cap on his out-of-pocket costs "would definitely help." Drugs like Copaxone that can modify the effects of the disease have been on a steep upward price trajectory in recent years, says Bari Talente, executive vice president for advocacy at the National Multiple Sclerosis Society. Drugs that five years ago cost $60,000 annually now cost $90,000, she says. With those totals, Medicare beneficiaries "are going to hit catastrophic coverage no matter what." Just over 1 million Medicare beneficiaries in Part D plans who did not receive low-income subsidies had drug costs that pushed them into catastrophic coverage in 2015 — more than twice the 2007 total — according to an analysis by the Kaiser Family Foundation. "When the drug benefit was created, 5 percent probably didn't seem like that big a deal," says Juliette Cubanski, associate director of the Program on Medicare Policy at the Kaiser Family Foundation. "Now we have such expensive medications, and many of them are covered under Part D — where, before, many expensive drugs were cancer drugs" that were administered in doctors' offices and covered by other parts of Medicare. The lack of a spending limit for the Medicare drug benefit sets it apart from other coverage. Under the Affordable Care Act, the maximum amount someone generally owes out-of-pocket for covered drugs and other medical care for this year is $7,900. Plans typically pay 100 percent of customers' costs after that. The Medicare program doesn't have an out-of-pocket spending limit for Part A or Part B, which cover hospital and outpatient services, respectively. But beneficiaries can buy supplemental Medigap plans, some of which pay coinsurance amounts and set out-of-pocket spending limits. Medigap plans, however, don't cover Part D prescription plans. 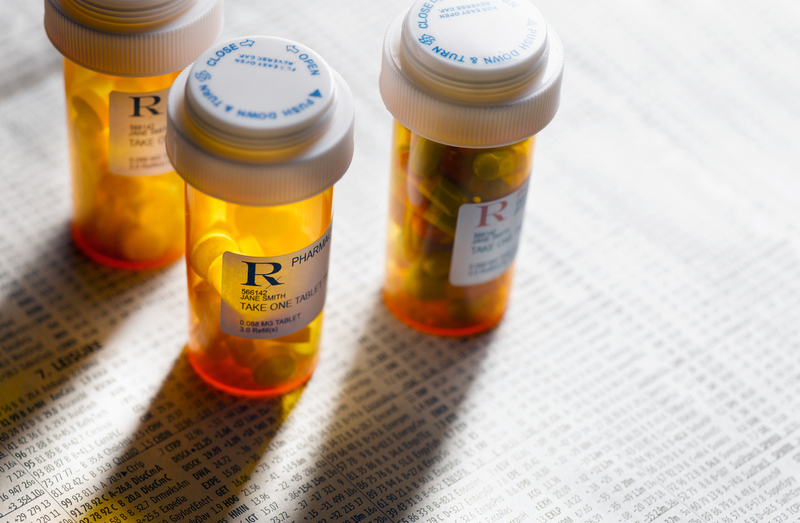 Counterbalancing the administration's proposal to impose a spending cap on prescription drugs is another proposal that could increase many beneficiaries' out-of-pocket drug costs. Currently, brand-name drugs that enrollees receive are discounted by 70 percent by manufacturers when Medicare beneficiaries have accumulated at least $3,820 in drug costs and until they reach $5,100 in out-of-pocket costs. Those discounts are applied toward beneficiaries' total out-of-pocket costs, moving them more quickly toward catastrophic coverage. Under the administration's proposal, manufacturer discounts would no longer be treated this way. The administration says this would help steer patients toward less expensive generic medications. Still, beneficiaries would have to pay more out-of-pocket to reach the catastrophic spending threshold. Thus, fewer people would likely reach the catastrophic coverage level at which they could benefit from a spending cap. "Our concern is that some people will be paying more out-of-pocket to get to the $5,100 threshold and the drug cap," says Keysha Brooks-Coley, vice president of federal affairs at the American Cancer Society Cancer Action Network. "It's kind of a mixed bag," says Cubanski of the proposed calculation change. "There will be savings for some individuals" who reach the catastrophic phase of coverage. "But for many, there will be higher costs." For some people, especially cancer patients taking chemotherapy pills, the lack of a drug-spending cap in Part D coverage can seem especially unjust. These cutting-edge, targeted oral chemotherapy and other drugs tend to be expensive, and Medicare beneficiaries often hit the catastrophic threshold quickly, says Brooks-Coley. Patty Armstrong-Bolle, a Medicare patient who lives in Haslett, Mich., takes Ibrance, a pill, once a day to help keep in check the breast cancer that has spread to other parts of her body. While the medicine has helped send her cancer into remission, she may never be free of a financial obligation for the pricey drug. Armstrong-Bolle paid $2,200 for the drug in January and February of last year. When she entered the catastrophic coverage portion of her Part D plan, the cost dropped to $584 per month. Armstrong-Bolle's husband died last year, and she used the money from his life insurance policy to cover her drug bills. This year, a patient assistance program has covered the first few months of coinsurance. That money will run out next month, and she'll owe her $584 portion again. If she were getting traditional drug infusions instead of taking an oral medication, her treatment would be covered under Part B of the program, and her coinsurance payments could be covered. "It just doesn't seem fair," she says. Kaiser Health News, a nonprofit news service, is an editorially independent program of the Kaiser Family Foundation. Neither KHN nor KFF is affiliated with Kaiser Permanente. Michelle Andrews is on Twitter: @mandrews110.